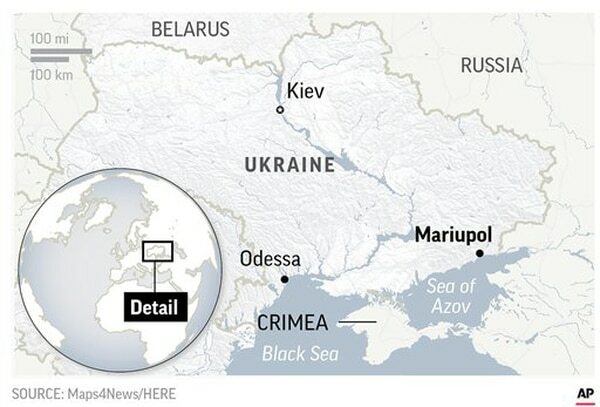 “There is no justification for Russia’s use of military force against Ukrainian ships and naval personnel. We call on Russia to release the Ukrainian sailors and ships it seized, without delay,” a NATO statement issued Tuesday afternoon reads. A U.S.-Russia conflict remains unlikely, but there are U.S. troops currently in Eastern Europe and the Black Sea region that could respond. In Ukraine specifically, the Tennessee National Guard’s 278th Armored Cavalry Regiment has troops on the ground helping that country run its Yavoriv Combat Training Center. The CTC — similar to the Army’s versions at Fort Polk in Louisiana, Fort Irwin in California, and Hohenfels in Germany — is an immersive program designed to get soldiers ready for combat deployments. The Army also keeps a rotating armored brigade in Eastern Europe year-round, which partners with local forces from Latvia down to Bulgaria on military exercises. The 1st Brigade Combat Team, 1st Cavalry Division is finishing up its rotation and preparing for the arrival of 1st Armored Brigade Combat Team, 1st Infantry Division. They are joined by the 4th Combat Aviation Brigade, 4th Infantry Division, which spent Thanksgiving in Romania. The Corps keeps a relatively light footprint in the Black Sea region. 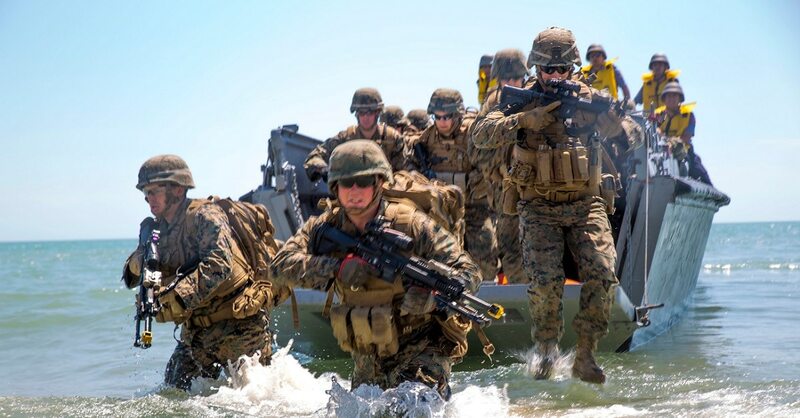 The Marines operating in the area usually hail from the Black Sea Rotational Force — a handful of several hundred Marines and sailors who participate in security cooperation exercises across the region. While modest in size, the Corps’ presence in the Black Sea serves as a powerful deterrent against would-be aggressors. Highly mobile and agile, the Marines in the Black Sea bounce around the region helping train and advise partner forces to boost collective security. From July to September this year, the Corps kicked off three training evolutions with partner forces in Ukraine, Romania, and Georgia. 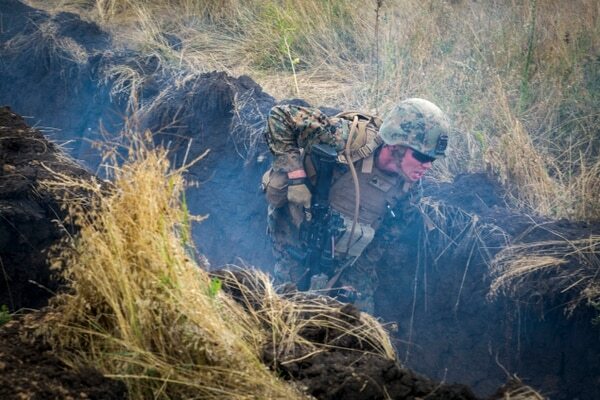 This year’s iteration of Sea Breeze in Ukraine involved roughly 50 Marines with Echo Company, 2nd Battalion, 25th Marine Regiment. The training, which involved company sized mechanized attacks, stoked the ire of Russian officials. Similarly, the Air Force has held exercises of significance in Ukraine this year. The California National Guard has been linked to Ukraine through a State Department partnership program since 1993, often rotating airmen through the country for training. That partnership has stepped up recently. The Air Force wrapped up Clear Sky 2018, a large, multinational air exercise hosted by Ukraine in October. "It was basically the largest of its kind in Eastern Europe ever,” Lt. Col. Robert Swertfager, the partnership program director for the California Air National Guard, told Military Times last month. 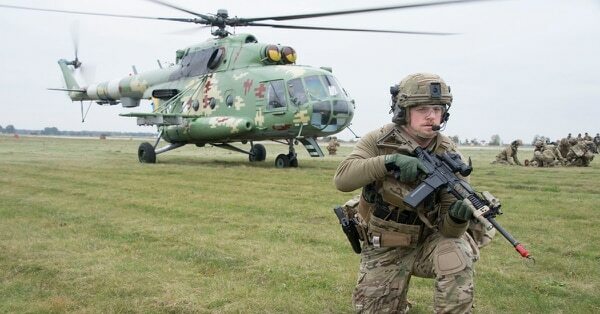 The exercise paired California Air National Guard assets with the Ukrainian Air Force during close-air support missions, cyber defense operations and air sovereignty defense. Special operations airmen, to include pararescue jumpers and joint terminal attack controllers, trained throughout October in Ukraine. The Air Force also has multiple air assets in Europe that fly reconnaissance and air sovereignty missions over NATO allies. One ongoing mission is through unarmed MQ-9 Reaper drones, which began ISR operations from Miroslawiec Air Base, Poland, in May. “U.S. Air Forces in Europe regularly conducts exercises with allies and partners in the region, however, we do not currently have USAFE-assigned Airmen in Ukraine,” Lt. Col. Petermann, an Air Forces in Europe spokesman, told Military Times. The Naples-based U.S. 6th Fleet does not keep a permanent presence in the Black Sea, but maintains a rotational basis of warships and support vessels through the waterway. Sixth Fleet officials declined to say if any warships are heading there now, but the command always releases the names of vessels entering and exiting the Black Sea. In the summer of 2017, the Ticonderoga-class guided-missile cruiser Hué City and the Ukrainian auxiliary ship Balta conducted search-and-seizure training during exercise Sea Breeze. The Balta played the role of a “non-compliant” vessel and it was boarded by Hué City sailors. Over the past 12 months, the guided-missile destroyers James E. Williams, Carney, Ross and Porter sailed the Black Sea, making stops in Bulgaria and Romania in support of Operation Atlantic Resolve, the naval operation dedicated to NATO’s collective defense of the Black Sea. Home-ported in Rota, Spain, the Carney also visited the Ukrainian port of Odessa on Jan. 8 and exited the Black Sea five days later. The Harpers Ferry-class amphibious dock landing ship Oak Hill and the embarked 26th Marine Expeditionary Unit transited the Dardanelles Strait on March 7 to participate in the Romanian-led Spring Storm exercise. On May 9, a detachment of the Sicily-based “Red Lancers” of Navy Patrol Squadron 10 brought their P-8A Poseidon planes to participate in NATO Maritime Group 2’s Sea Shield exercise. On July 7, the 6th Fleet’s flagship Mount Whitney entered the Black Sea to participate in the annual Sea Breeze exercise with Ukraine. The nations focused on maritime interdiction operations, air defense, anti-submarine warfare, damage control drills, search and rescue, and amphibious warfare, according to the 6th Fleet. The next month, the Military Sealift-operated expeditionary fast transport ship Carson City arrived in Constanta, Romania, where it dropped off the U.S. Army’s Bravo Company, 2nd Battalion, 5th Cavalry Regiment. The Spearhead-class vessel later shuttled soldiers and their equipment from Poti, Georgia, back to Romania. Russian fighters buzzing U.S. Navy recon planes in Eastern Europe could lead to disaster, analysts warn. Tensions with the nearby Russians haven’t come by sea but rather flared in the sky. On Jan. 29, an Sukhoi SU-27 Flanker fighter intercepted a Navy EP-3 Aries II surveillance plane in international airspace over the Black Sea. According to the Pentagon, the interdiction became “unsafe” when the Russian pilot closed to within five feet of the Navy aircraft and veered into its flightpath, forcing the turbo-prop plane to fly through the fighter’s jet wash.
On Nov. 5, the incident was repeated. Videotaped footage released by the Pentagon showed a Flanker on the starboard side of a Greece-based Navy EP-3Aries II banking right of its nose before the Russian hit his afterburners, forcing the plane to fly through the turbulent wash.
Military Times staff writers Meghann Meyers, Shawn Snow and Mark Faram contributed to this report.